The Quincy Friends of the Plumas County Library would like to thank everyone who donated their gently used books and purchased books at the August book sale. The sale brought in $1,624 and Quincy Friends enrolled new members and moved lots of books to new homes. The Quincy Library is open Saturdays, 11 a.m. to 3 p.m., completely sponsored by the Quincy Friends. Free Movie night is expected to begin in October. Since the sale, Quincy Friends sponsored a countywide meeting with other Friends groups as well as library staff, with the goal to collaborate with other groups. The meeting was well attended and everyone is interested in connecting again. This group collaboration will help with enhanced countywide services to library patrons. 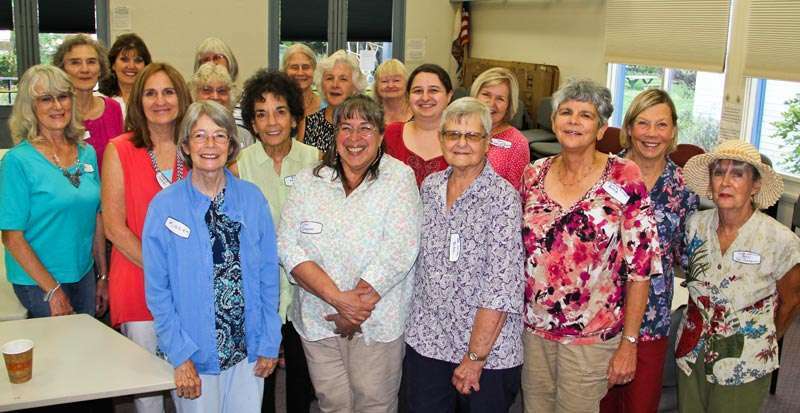 Quincy Friends are all volunteers and its board appreciates the efforts of those who helped during the sale. It is a huge job to move heavy books and without the volunteers moving, sorting and resorting books, Quincy Friends could not be as successful in having an organized sale. Anyone who would like to help during future sales can contact Jimmie Oneal at 283-9854. Quincy Friend showcased a few books at Plumas Bank in July and was very pleased that the silent auction items brought in $80. One of Friends’ goals is to encourage reading, and the group is sponsoring the Summer Reading Program for youth in the community and offering books to seniors in the county with the Senior Book Project. If interested in becoming a member of the Quincy Friends join at any time of the year. Contact the Friends at [email protected] or Oneal at 283-9854. For more information about the Quincy Friends, check out Facebook at facebook.com/quincyfriendslibrary/.